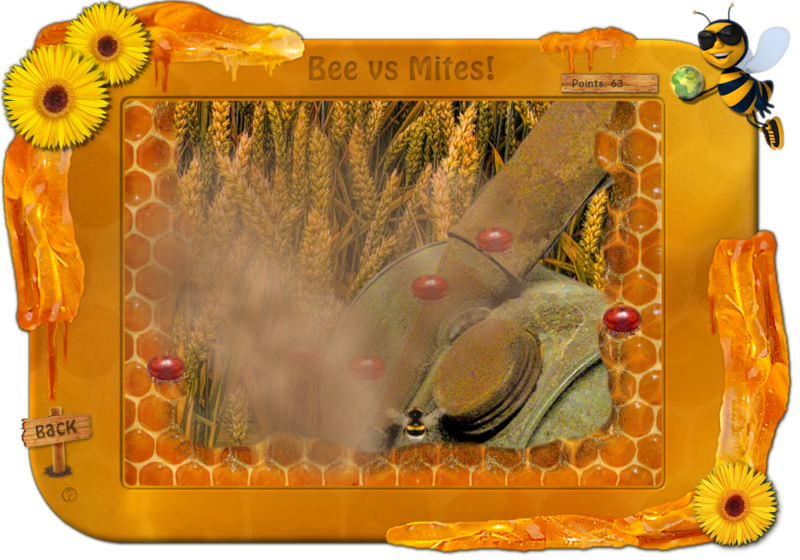 Bee Aware!, an active clicker game by Danny E.K. van der Kolk! For ages 10 to 122! Help the bees get rid of all the bad, bad industrialists on every continent with the use of bags of biological pest control. Earn these bags by playing seven minigames. Games that will surely fit the needs of every casual gamer! As a bonus, there are two hidden mini-minigames! See if you can find them! Fun and relaxing gameplay for the casual gamer (perfect for a rainy day). Beautiful ambient music (per game) by Polish composer Jacek Dojwa and by Georgke, who composed Ambience Composition. There's a total of 9 different songs in the game! The game runs in fullscreen mode, with an optional slideshow in the back. Windows 7 - 64-bit - DirectX 11. Dedicated videocard with 2 Gb RAM. 1024x768 screen resolution (1366x768 or higher recommended). 360 Mb free disk space (installation file is 215 Mb). 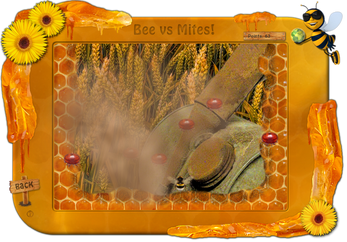 Bee Aware does not run well with onboard graphics chips, however, you could try with an integrated Intel HD Iris (GT2) chip or similar/higher. Bee Aware! Not just another Bee Game! Unzip BeeAwareDemo.zip, then run setup_BeeAwareDemo.exe. Hi lucylu, thanks for the feedback! The error doesn't sound familiar to me. I did not see such an error when I installed Bee Aware! on other systems than mine. The installer and game must run on a 64 bit system. Do you have 64 bit windows? icacls is a command-line utility that can be used to modify NTFS file system permissions in Windows Server 2003 SP2, Windows Server 2008, Windows Vista and Windows 7. It builds on the functionality of similar previous utilities, including cacls, Xcacls.exe, Cacls.exe, and Xcacls.vbs. It seems to be a tool related to file/map permissions. Bee Aware! tries to store a save file in your user directory, so I'm guessing this might have something to do with permissions set on your system. Code 6 points in that direction, when I look for error codes in windows this one means 'can not get a handle', so no permission to save a file. Hope this helps! I'm Danny, the dev of this game. I would love to see your feedback, criticism or whatever you have to say about Bee Aware!